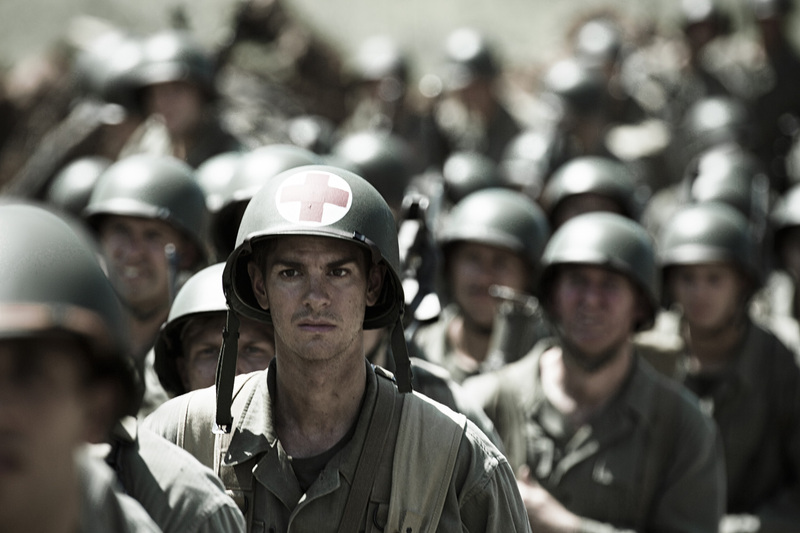 From the Oscar-winning director of Braveheart comes Hacksaw Ridge, the extraordinary true story of Desmond Doss who, in Okinawa during the bloodiest battle of WWII, saved 75 men without firing or carrying a gun. He was the only American soldier in WWII to fight on the front lines without a weapon, as he believed that while the war was justified, killing was nevertheless wrong. As an army medic, he single-handedly evacuated the wounded from behind enemy lines, braved fire while tending to soldiers and was wounded by a grenade and hit by snipers. Doss was the first conscientious objector awarded the Congressional Medal of Honor. 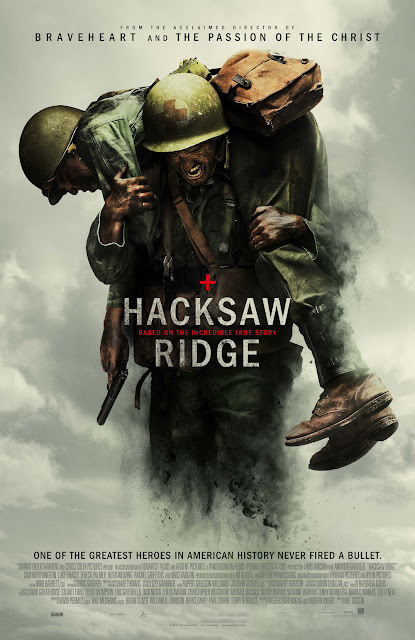 Directed by Mel Gibson from a screenplay by Robert Schenkkan and Andrew Knight, Hacksaw Ridge stars Andrew Garfield, Teresa Palmer, Vince Vaughn, Hugo Weaving, Rachel Griffiths, Luke Bracey and Sam Worthington. An unwavering Seventh Day Adventist, Desmond Doss was living in Virginia when he voluntarily enlisted in the U.S. Army. He had no interest in fighting, but rather Doss wanted to serve as a “non-combatant” medic. It was not a path with which the military was familiar, but Doss persisted. Skinny, vegetarian and unwilling to train on Saturdays let alone carry a gun, Doss was initially ridiculed and abused by his compatriots – who, convinced he would be a dangerous liability in the foxholes with them, tried every which way they could to drive him out of the army. But Doss persisted all the way to Okinawa, where his unit was ordered to take part in the near-impossible capture of the massive Maeda Escarpment – aka Hacksaw Ridge. Atop this steep, looming 400-foot cliff lay heavily fortified machine-gun nests, booby traps and Japanese soldiers in caves who vowed to fight to the end. It was there that Doss demonstrated that he was made not only of principle but also rare courage. Facing a desperate assault of heavy fire, Doss refused to seek cover. When his battalion was ordered to retreat, he alone remained behind and ran repeatedly into the kill zone, with nothing but his convictions, to drag to safety an estimated 75 badly injured men who were destined to die had he not intervened. Doss would go on to receive the Medal of Honor from President Harry Truman in October of 1945, with a citation that drew attention to “outstanding bravery and unflinching determination in the face of desperately dangerous conditions.” It was then that the journey to bring Doss’ story to the screen began. Those who heard what Doss had achieved and understood how unusual it was (there have since been only two other conscientious objectors awarded the Medal of Honor) immediately saw that that it was a potent and provocative story. But it would be another half century before it became a reality – in part because Doss chose to lead a quiet, humble life without the notoriety a film would bring. But now with a screenplay by Pulitzer Prize-winning playwright Robert Schenkkan and Australian writer Andrew Knight (The Water Diviner), as well as a highly accomplished team led by Academy Award® nominated director Mel Gibson, Doss’s unsung story would at last be told as only 21st Century filmmaking could. 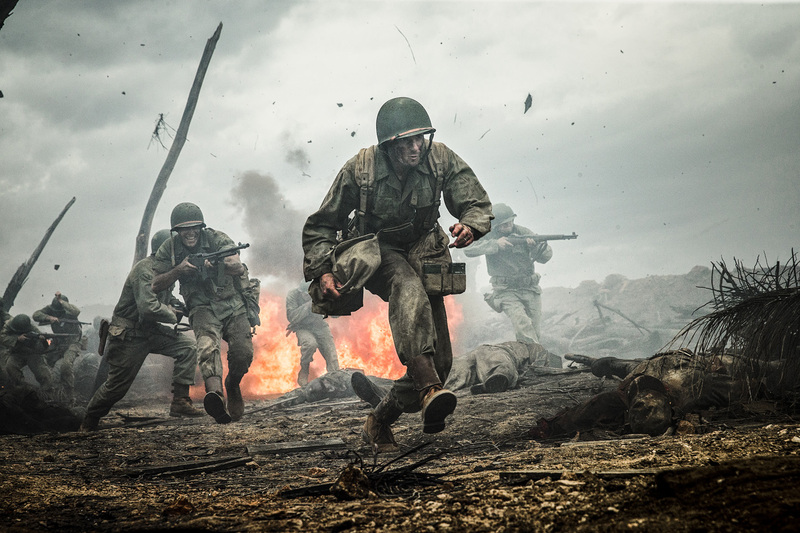 It would be not only a story of what men endured on Okinawa, but of the loved ones back home who shaped and bolstered Desmond Doss’ belief. Doss passed away at the age of 87 in March 2006. Several years before that, filmmaker Terry Benedict had received his blessing to begin producing a documentary about Doss, The Conscientious Objector, and secured the life rights to his story. Feeling the time was also right to explore bringing Doss’ story to motion picture audiences as a multi-layered drama, Benedict approached producer David Permut, who in turn approached Mechanic, who was thrilled to become involved.